Refurbishment of a major National Grid overhead line facility has gained from the combination of SHS Group experience and Layher equipment. 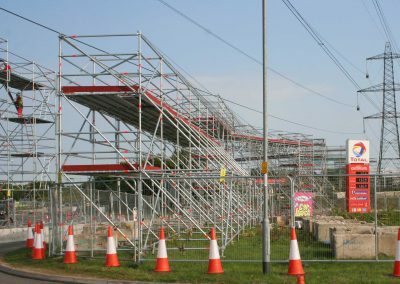 The installation of 11 scaffold towers and protective netting at Thickthorn Services on the A47/A11 junction is typical of the work that has been undertaken on power circuits between Norwich and Wisbech. 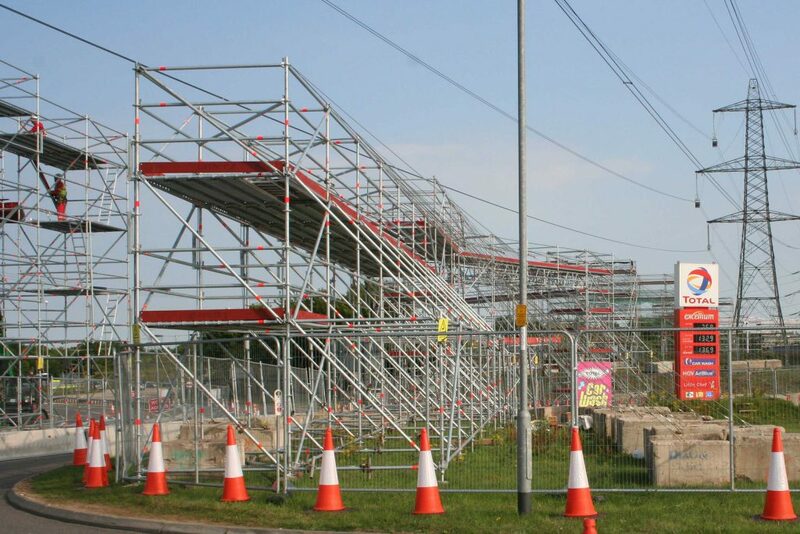 The 350-metre run has seen tower installations accommodate a variety of locations and terrains with SHS Group working closely with the Electricity Alliance East, the local authority and traffic management specialists. 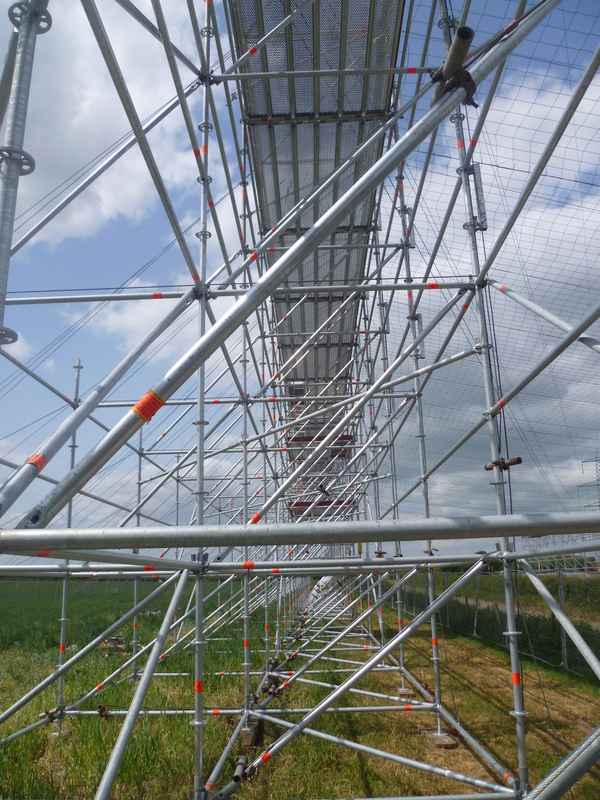 “The towers were designed to minimise the potential for the protective net to sag, to maintain a minimum clearance of 6.1 metres above the highway and to take account of weather and potential line loadings,” says Andy Boaz, SHS Group Project Manager. 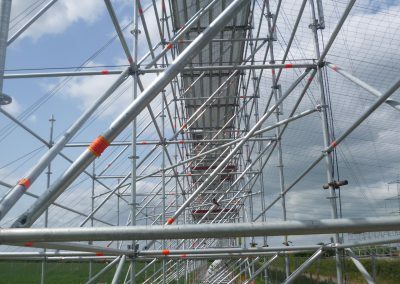 He highlights safety, speed, tidiness and the minimum number of required components as key factors pointing to the use of the Layher Allround® scaffold system.